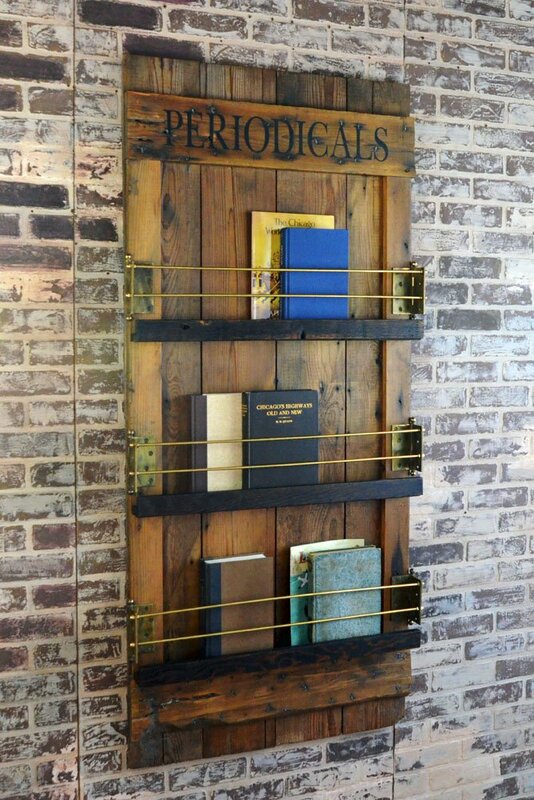 This unique barn door wall mounted bookshelf will be the focal point of your office or den! 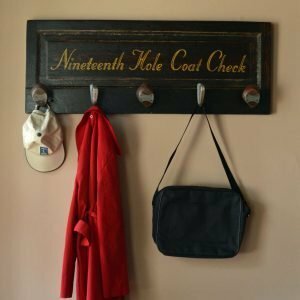 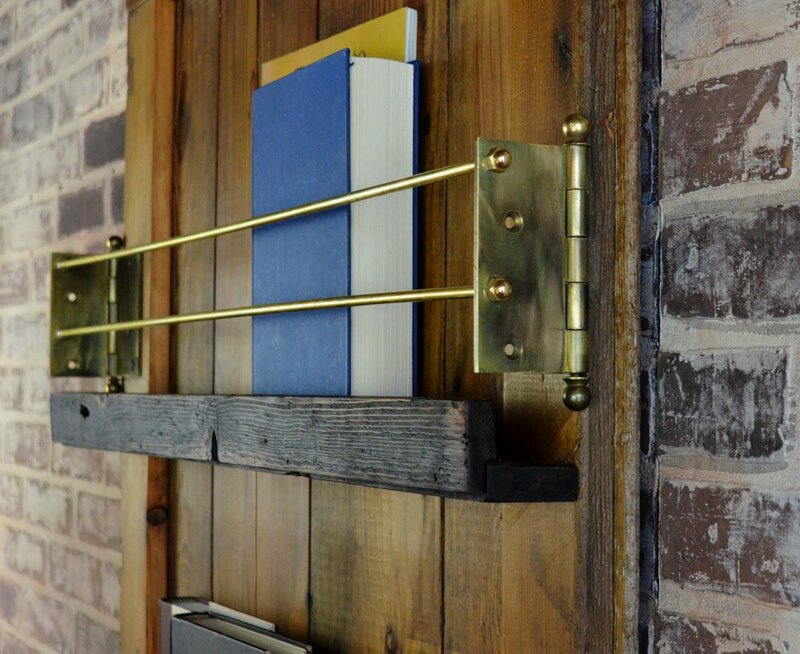 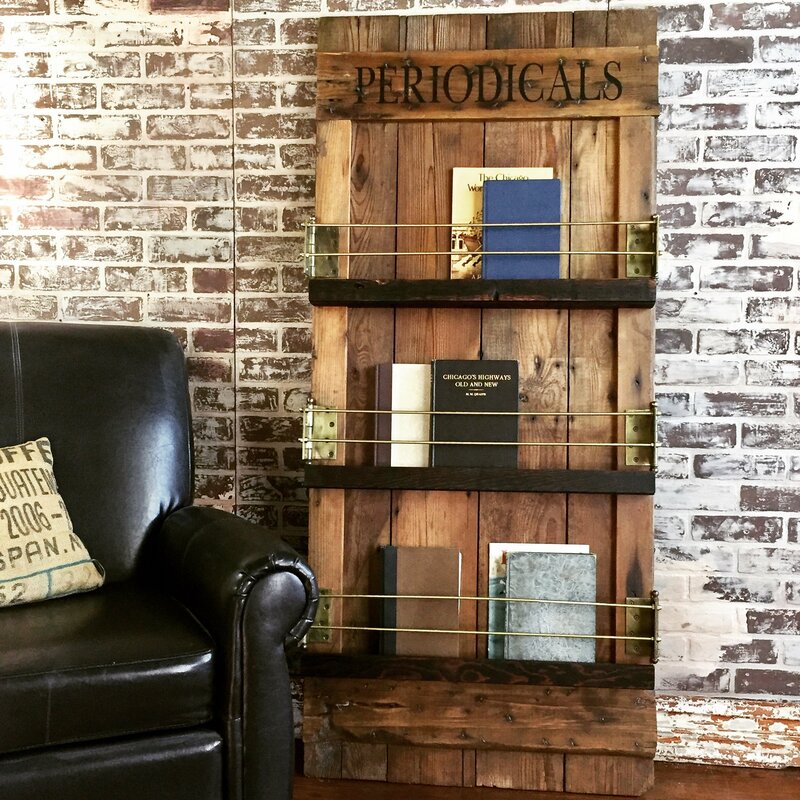 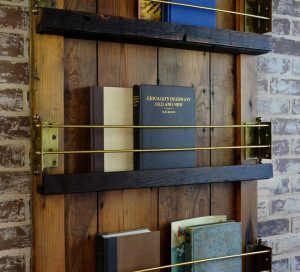 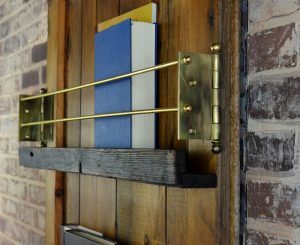 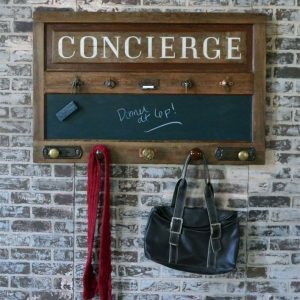 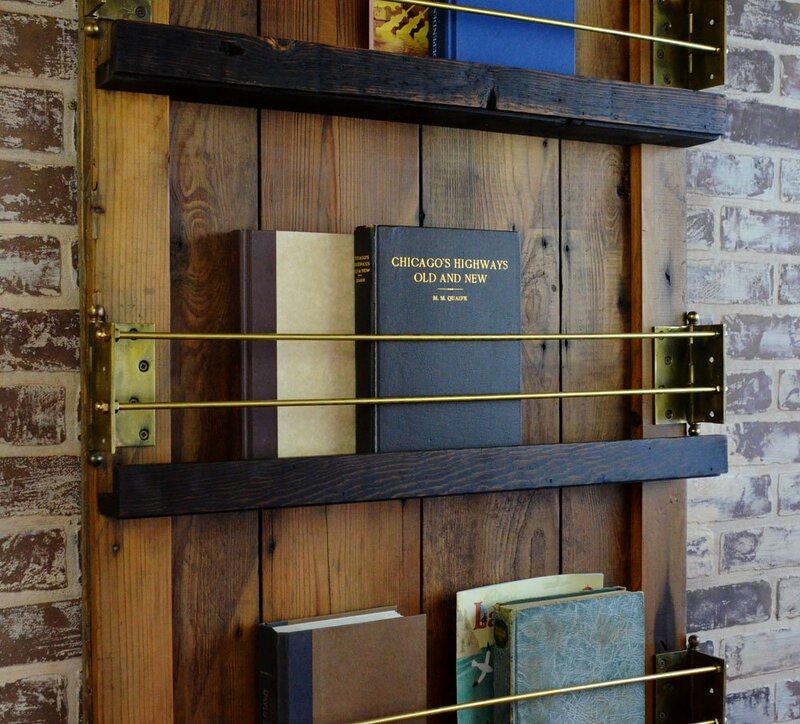 Hand crafted from an old barn door, barn wood, brass rod, and vintage brass hinges, this magazine and book rack is one of a kind. This unique barn door wall mounted bookshelf will be the focal point of your office or den! Hand crafted from a vintage barn door, barn wood, reclaimed brass hinges, and brass rod – this magazine and book rack is one of a kind. 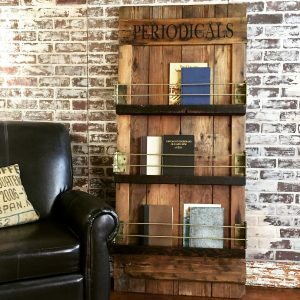 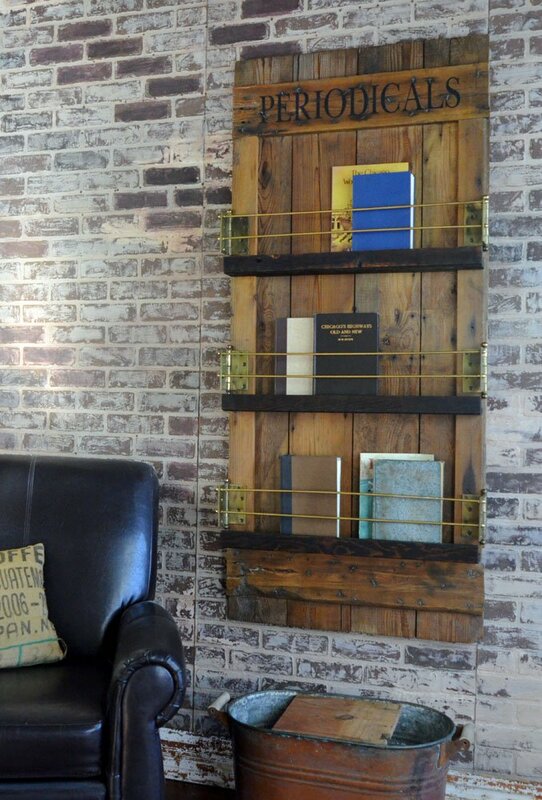 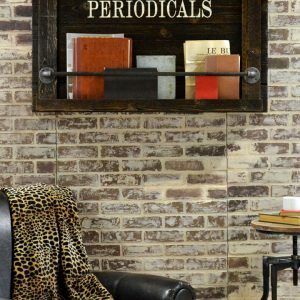 This functional and unique bookshelf adds rustic character to your den, office, or family room! 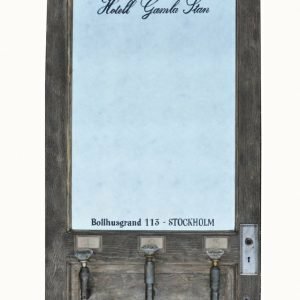 This product is available as a limited edition – can be reordered pending supplies. 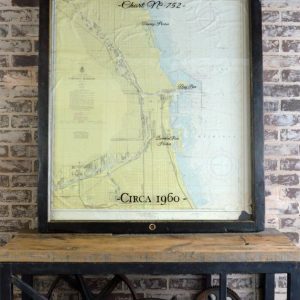 This item ships via ground shipping, but requires a large package surcharge. 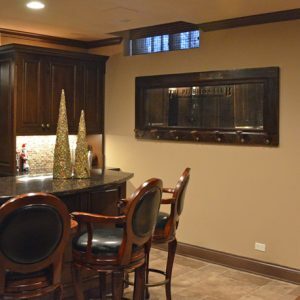 Free local delivery and installation is available within the Chicago area. 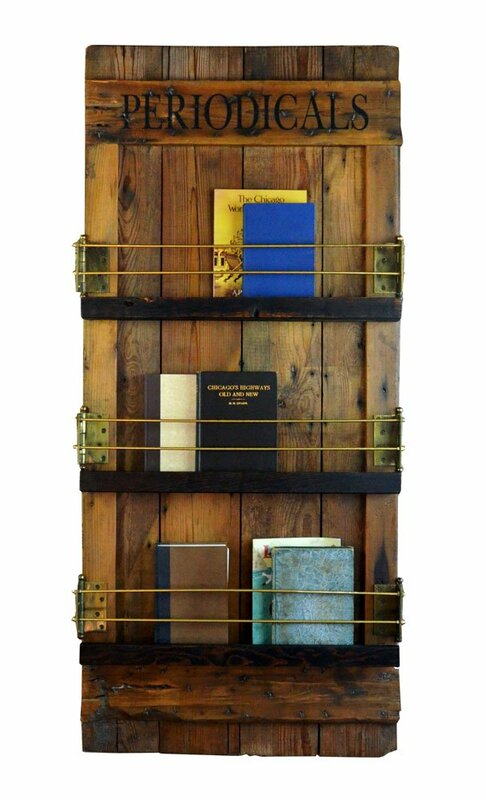 This piece can be recreated, however – size will vary based on materials used.